2 images. 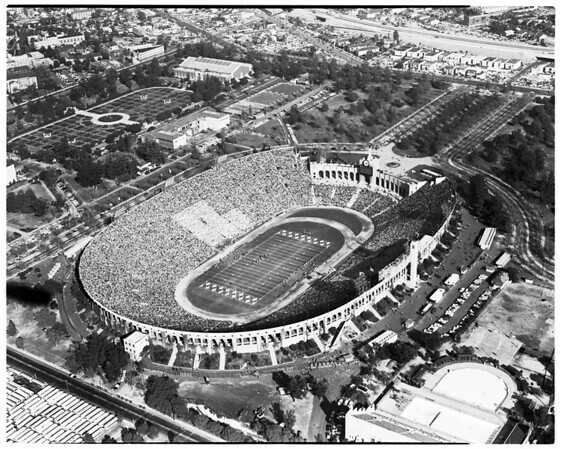 Air views of Los Angeles Memorial Coliseum, 7 December 1957. (UCLA -- USC 1955. Examiner photo by Samuel Sansone).